In America, small town people sometimes get treated as what rural sociologists call “residual” populations. Let that sink in for a minute. Residual. Extra. Non-important. Leftovers of urban colonies. Residual even phonetically (and semantically) reminds me of the word residue. In many circles of American Christianity, that’s the way small town churches and their pastors are viewed. A fine (and extremely current) example of this comes in a situation occurring in Virginia Baptist life (a statewide group with which my church affiliates). Allow me to explain. In the Baptist General Association of Virginia (BGAV), for nearly 20 years, there has been a strong tradition (although not written in any by-law) of the First Vice President of the convention becoming President the following year. Terms are 1 year. This means for nearly 20 years, the First Vice President’s nomination has gone unchallenged. During the Baptist denominational battles of the late ’80s and early ’90s, nominations for president became highly politicized (as they had been for years in larger Southern Baptist life). Nominees for president would do things like set up a “campaign headquarters” where volunteers would call pastors and lay leaders to ask for their vote before the annual meeting. People from different political factions would write editorials and articles singing the praises of their favored candidate. A letter might go out to every pastor in the BGAV explaining why the candidate was running, encouraging the pastor to rally their messengers to vote a certain way. Nominating the First Vice President for the leadership role of President prevents both of the above scenarios, and diffuses the politics that ran rampant in the early ’90s. As you may have guessed by now, there is a challenger to the First Vice President’s nomination this year. Rhoadsville Baptist is in a zip code with less than 700 single family dwellings. It’s a smaller church in a rural area. The realities of rural ministry are that growth is challenging, populations are aging, younger families are moving to where more job opportunities exist, and most rural people already consider themselves “Christianized” (which presents its own challenges). Q1: How many baptisms does it take before a pastor can serve in a key position in the BGAV? Evangelism should certainly remain a priority for rural churches, but kingdom work is about much more than church growth and soul-winning. I’ve only baptized a few people myself this year (and 6 last year), however, I’m proud to say my congregation is doing great outreach and making incredible inroads in the community. While the number of baptisms is certainly one possible marker for congregational health and vitality, there are many more. Cool Spring’s 2014 Annual Baptism to Weekly Attendance ratio is 48:1150, or about 4% of weekly attendance. Rhoadsville’s 2014 Annual Baptism to Weekly Attendance ratio is 1:132, or about .75% of weekly attendance. If we’re honest, there is room for improvement in both cases, and in both cases there is great cause for celebration. Whether 1 or 10,000 come to faith, we should give praise and thanks to God! Neither ratio is close to what the Bible describes at Pentecost, so every BGAV church should continue to pray for an outpouring of God’s Spirit, that people might come to faith in Christ. That’s my prayer for Urbanna Baptist Church, and my prayer for these two sister congregations. Q2: How much money does a small church in a rural area have to give before they are considered “stakeholders” in BGAV mission and ministry? Exactly what scorecard are we talking about? Does Nancy Stanton McDaniel’s years of service in Virginia Baptist life, her faithful dedication as First Vice President of the BGAV, or her station as a pastor of a BGAV church not qualify her or her church as “stakeholders?” This language sounds corporate to me, as if only churches with the most “company shares” should have a seat in the board room. In fact, in one blog post, Hoffman posted a link to a definition of “stakeholder” from BussinessDictionary.com. The definition is plain in stating that “not all stakeholders are equal.” Is Virginia Baptist life going the way of American politics, where only those who pay-to-play (and pay big) have real influence? Cool Spring Baptist (Brad Hoffman’s church) indeed gives much more money to the BGAV every year than Rhoadsville Baptist Church, but comparing giving simply based on the dollar amounts is not fair. Calling into question Nancy Stanton McDaniel’s (and her church’s) commitment to the BGAV simply based on a dollar amount doesn’t take into account the difference in church size or the ways the church serves in VA Baptist life, and it minimizes the emphasis each congregation seems to place on the Virginia Baptist Alma Hunt Missions offering. So how can we view this objectively? As far as total Cooperative Missions giving (which doesn’t count special offerings), Cools Spring’s overall percentage of giving far outweighs Rhoadsville’s. In 2014 Cool Spring Baptist gave 10.1% of undesignated funds for Cooperative Missions, compared to Rhoadsville giving 1.3% of undesignated funds to Cooperative Missions. * See report here. In terms of the Alma Hunt offering, Rhoadsville gives a much higher percentage of special offering dollars to Virginia Baptists, and in terms of overall Cooperative Missions giving, Cool Spring clearly leads. So, is this an example of a rural pastor and a rural congregation being treated as residual in terms of denominational life? Do percentages of giving matter more than dollar amounts? If we look at percentages, which percentages matter the most? How do we make judgements concerning leadership positions in the BGAV? 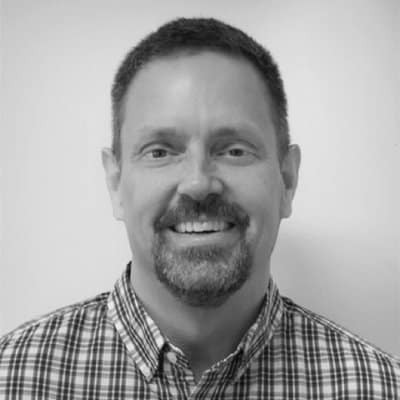 I feel that when a pastor of a large suburban congregation is running against a pastor of a small rural congregation for a high denominational office, everyone involved should be sensitive how statements and truth claims are perceived, and great care should be taken to minimize alienating any churches or individuals. Additionally, let’s not pretend that Nancy Stanton McDaniel’s ordination isn’t at play here. 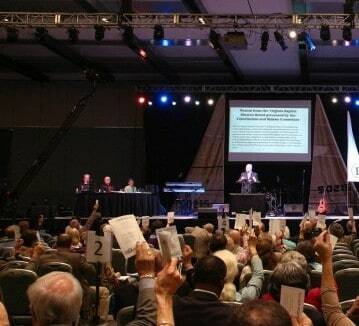 Sadly, at least one congregation (and perhaps more) has vocally and publicly threatened to leave the BGAV if an ordained woman becomes President. I think in our Virginia Baptist tribe there are friends on both sides of the issue. For me personally, an ordained woman pastor is a non-issue. Unfortunately, the uneducated perception of some in Virginia will misread my nomination intentions. So let’s set the story straight, I’m not being nominated because Nancy is an ordained pastor. I’m being nominated because things cannot continue as they are in Virginia Baptist life. I’m deeply concerned about the decline and lost focus in Virginia. It’s time for a change and I’m willing to be a part of that change. I am concerned by what I perceive to be an ever widening gap between the BGAV and the SBC. Many churches within the BGAV are no longer connected to the SBC. They either give a token amount to the SBC and its offerings, or they give nothing at all. Many have strongly aligned themselves with the Cooperative Baptist Fellowship, which continues to move further and further from traditional Christian beliefs. Baptist churches are autonomous and may affiliate with any mission body they choose. They are also autonomous and free to call whomever they choose as their pastor. A central issue of disagreement between CBF and SBC has always been women in ministry. 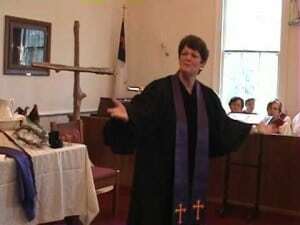 For many, having an ordained female at the helm of the BGAV is a sure sign of moving away from their own definition of “traditional Christian beliefs.” Rhoadsville Baptist gives almost all of their national mission dollars to CBF (which fully supports women as pastors) and not the SBC (which fully rejects women as pastors). No surprise there. Nancy’s ordination may not be an issue for Brad Hoffman, but it sure seems to be for many of his supporters. I would even go so far as to say his nomination is being couched by some as completely about the issue of women in ministry, which is at best unfortunate and uneducated (to quote Hoffman) and at worst, misleading. It’s time to put the SBC and CBF hats on the shelf and focus on being more missional. I’m tired of your politics; I just want to be Jesus to a lost world. You cannot be mad about identity and sincerely missional at that the same time. I’m in complete agreement with this mentality, and Brad is definitely raising some excellent questions for BGAV churches and partners to consider. I feel that whomever the next BGAV president is, we need to focus on missional endeavor and not mission programs and activities. Christian mission is not a calendared program, but a way of being. I don’t know Nancy Stanton McDaniel or Brad Hoffman personally, but I think they would each bring great strengths to the BGAV Presidency. Frankly, some of what is happening concerning this election smacks of the politics of days gone by. My sincere hope is that God gives each messenger clarity at our meeting next week, and that at the end of the day, advancing the Kingdom takes priority over politicking. We are all family, and we need to stick together no matter the outcome of this vote. The term of BGAV president is one year. What changes can one person bring in a year that will radically alter the course of our ministry, or insulate the BGAV from feeling the effects of slipping denominational loyalties, and an increasingly dechurched population? Even David Platt (bestselling author, theologian, brilliant communicator, and mega-church pastor) was unable to keep the SBC’s International Mission Board from downsizing. No matter who the next BGAV President is, they will have some great challenges to face in their twelve month term. Finally, I would like to encourage small town churches, and female pastors in particular (Virginia Baptist and otherwise), that you are significant stakeholders in the Kingdom. Don’t let anyone tell you otherwise. God has called you to your town, county, and region for “such a time as this.” You are not the leftovers of denominational life, and you have a place at the table in terms of Christian leadership. Please don’t let anyone tell you (either directly or by inference) that your ministry doesn’t bear significance. Those few kids in youth group matter. The five people that consistently come to your Wednesday morning prayer meeting are waging Spiritual warfare on behalf of your entire community. That rural homeless ministry with a leadership deficit needs your gifts. Actually, come to think of it, I know a guy from a small town who started off with just twelve followers. *To calculate this number I took the total undesignated funds from each church, and calculated the percentage of those funds which went to Cooperative Missions giving. Well said. Thank you, Jonathan for sharing these well said remarks! Well said, Jonathan. Consider this as well: investment and involement in the BGAV. Nancy has demonstrated her loyalty and leadership in a variety of ways over at least 20 years, always serving willingly and capably. She is one of the best examples of a true Virginia Baptist states(wo)man I know. And her church is more representative of the aggregate of Virginia Baptist churches than some may think. Thank you, Jonathan, for reminding us of something very important. Well said. Though I work for the Disciples, my home congregation is a federation of American Baptist and Disciples. I am so glad you had the courage to name that this “size-ism” happens so easily. Measuring what matters and against comparables is so important! Has the BGAV ever had an ordained woman president before? Jim, The BGAV currently has a lay woman president, but having an ordained woman as president would be a first. Great job Jonathan. Saying some things that are hard to say- but done very well. I appreciate your balance of statistics and positives and negatives. You didn’t “bash” anybody. Just layed it all out for people to see. I sincerely hope that God will bless the presidency of whom-ever takes over the position. Thanks, Robbie! I pray the same thing! Very interesting thoughts. Glad to see the more important numbers brought to light. Simple numbers can be misleading. And God is in the remnant business, and those people are found wherever He places them, whether in large or small congregations. Thanks, Janice, for your kind and thoughtful words. I agree that the Lord can use anyone, anywhere, for any purpose pleasing to God.